Allison O’Malley just graduated from college. Her life’s plan is to get a job and take care of her schizophrenic mother. She doesn’t have room for friends or even Ethan, who clearly wants more. When Allison’s long-lost father shows up, he claims he can bring her mother back from the dark place her mind has sent her. He reveals legends of a race of people long forgotten, the Tuatha de Danaan, along with the truth about why he abandoned her mother. 1. I’m an unapologetic Celtophile and as such, I was immediately drawn to the premise of The Forgotten Ones. What draws you to that tradition and who have your literary influences been? LCH: Growing up, my Irish grandmother was a big influence in the way I saw the world. Then I married an Irish man, which deepened my love for all things Irish. My biggest influences have been Juliet Marillier, Holly Black, and so many more. 2. When and how did the inspiration for your novel strike? LCH: This book started out quite different than it has turned out. I started writing it as a contemporary romance, but my love for paranormal worked it’s way in. At first I thought I’d base it on post-Christian faerie stories aka Seelie vs Unseelie. I have seen those done many times, so I decided to try going further back in the history of Ireland to when the Tuatha de Danaan were said to rule. 3. I’m also a process geek. I love it when writers share this aspect of their craft. 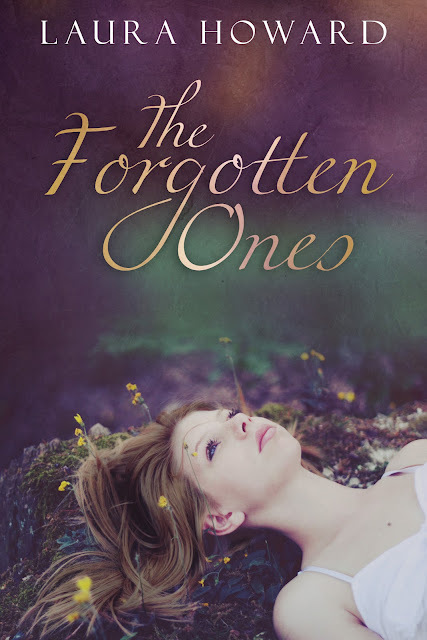 What was your process in writing The Forgotten Ones? LCH: This has been a very unorthodox process, I guess. I started it by writing for myself. I have started and stopped it many times over the past 3 and 1/2 years. But, the characters have stayed with me and I knew when the time was right, the story would be done. 4. What did your novel teach you about yourself as a writer? LCH: That I need to just write what’s in my head and edit later. This has been very difficult for me, and probably for most writers. Accepting that the first draft isn’t going to be great took a long time for me to come to terms with. LCH: In two days I’m sending it in to my editor. I have two more revisions planned at this point. The goal is to have Advanced Copies ready by late April, and I have book blog tours in the works. Well thanks again, Laura 🙂 It’s been a pleasure. I’m looking foward to May!